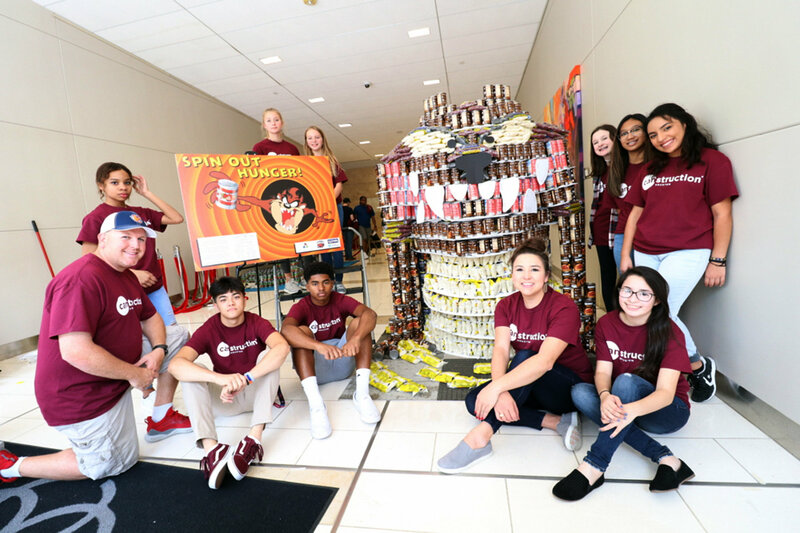 Bridgeland High School architecture students once again teamed up with VLK Architects to participate in the CANstruction competition Nov. 3 at CityCentre, with the team earning the “People’s Choice Award” for the second year in a row. 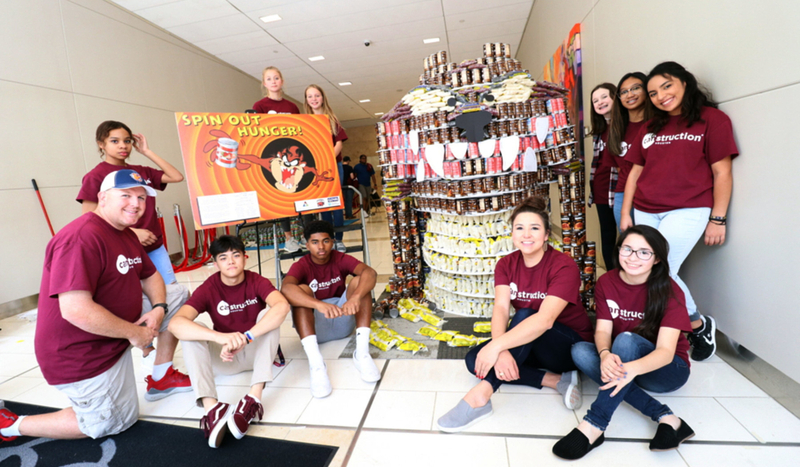 Canstruction is an international nonprofit organization aimed at providing canned goods to local food banks by hosting competitions where teams consisting of architects, engineers, contractors and student mentees design and build large structures made of cans. After the competitions, the food is then donated to local food banks. The Cy-Fair Kiwanis Club will hold its annual fundraiser at Topgolf, 1030 Memorial Brook Blvd., on March 13 from 12-3 p.m. 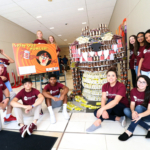 The Kiwanis Club is a group of community leaders who work with 17 CFISD high school Key Clubs and six middle school High Builder’s Clubs encouraging them to be leaders in their schools and in their community. They also support community causes and service projects associated with the district’s disadvantaged youth. Spend an afternoon with friends, co-workers, neighbors and your community as they raise money to help support the development of young leaders in our area. Sponsorships are available and tickets can be purchased CyFairKiwanis-GolfTourney.com. The Shield Bearer Running for Hearts 5K Family Fun Run and Walk will take place on March 30, from 7-11 a.m., at Windwood Church, 10555 Spring Cypress Road. This family-friendly event features a 5K timed trail-style run, as well as a 1-mile family walk, games for the kids, T-shirts, food, prizes and lots of fun for all ages. 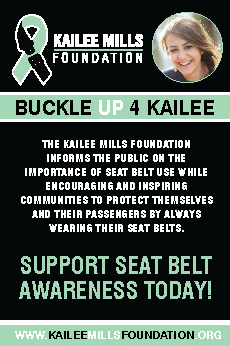 Proceeds for the event will fund services and programs at Shield Bearer. Race registration is $25 for adults (ages 14 and up) and $10 for children before March 15. 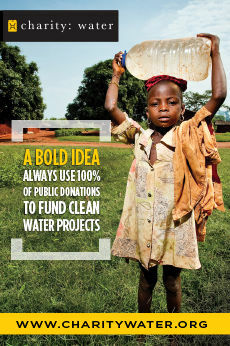 Registration, sponsorship, vendor, fundraising and volunteer information is available at ShieldBearer.org/5K. Hosted by Cypress Top Historic Park and Kleb Woods Nature Center/Heritage Farm, the Hands on History Camp is for children grades 4 through 6. Children will learn about Cypress history by exploring early crafts, learning blacksmithing, digging and exploring artifacts, interviewing local seniors, creating family trees, interpreting photos, and creating museum models and exhibits. The camp will be in March and is free with a Cypress Historical family membership for $25. Register at CypressHistoricalSociety.com.